A few years later when TV was still the thing and gaming consoles like PS1 were battling N64, Cord the Beatmaker was rather staring at tiny AKAI S2000, MPC and CRT displays, head-nodding, turning the jogwheels, dreaming of a second turntable to complete his DJ setup - the true school, golden age hiphop way. Next mission - still as a school kid - was a self-released vinyl record with international distribution through a self-founded label – learning everything from scratch, only a few years before DJing went 99,9% digital, crazy fast and globalised anyway. Arriving in Berlin and founding the mashup label „BROKEN BOOTLEGS“ (with Exploited’s Shir Khan and Andy Szankay) was good sparring for more delinquent ventures in professional sampling culture. Musical diversion had found an anarchic playground, genre-bending seemed to be a welcome concept for a radical open mind. 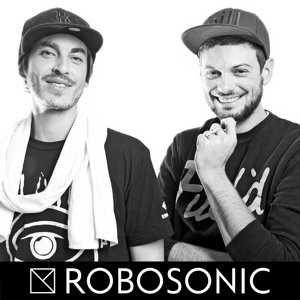 To date, his longest running project is ROBOSONIC, which was originally formed as a DJ-producer duo together with Sacha Robotti more than 10 years ago. Over the course of time it became Cords solo moniker in the dance music game, since his former partner had emigrated to the US for a fresh personal start. 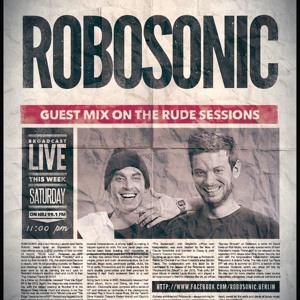 A while after the unconventional, free-spirited debut album „Sturm und Drang“ (2007) Robosonic took the world by storm with a string of popular tunes and remixes that went into the crates of tens of thousands of DJs worldwide and made it to top spots in the infamous Beatport charts (“Worst Love”, “The Edge” 2012, “La Fique” 2013, “House Music” 2015, “Rise” 2016). With releases on labels like Defected, Toolroom, Get Physical, Diynamic, Stil vor Talent, Deep Dish’s Yoshitoshi, Nervous, Crew Love, Kittball or Mother Recordings, ROBOSONIC became an authentic figurehead for something dubbed “Golden Era House” (Juice Magazine). Not only because Cord was convincing real rap icons like Masta Ace, Jeru the Damaja and KRS-One to collaborate on house tracks, but also because ROBOSONIC remixed true legends like Todd Terry, Arthur Baker, Kerri Chandler and Eddie Amador. The house & techno driven sets and records under the R°° flag are internationally recognised and performances in 45+ countries (and counting) reflect the universal appeal of a trademark sound Robosonic unleashed into the world. North & South America, most European countries, South East Asia, China and Russia, Egypt down to South Africa, Dubai to Australia, Lebanon and Israel. Cord Labuhn has seen and pleased hundreds of stages, clubs and crowds over the last years. 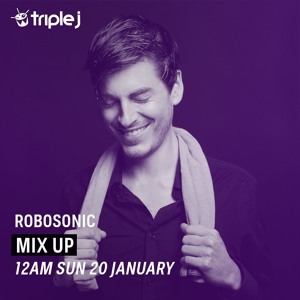 And with the string of new Robosonic releases through Defected, Kittball, Mother Recordings and more it becomes clear that he won’t stop shedding club sweat and tears.